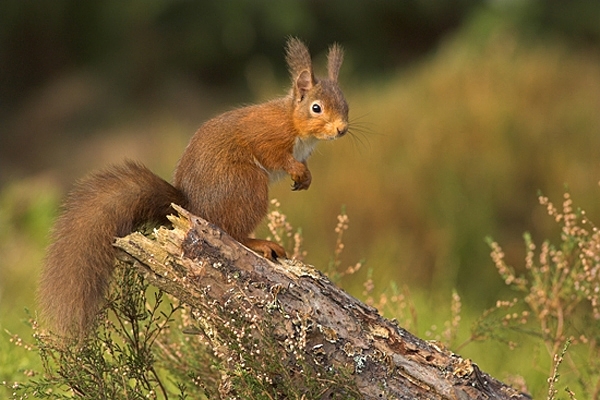 Home | Red Squirrels | Red Squirrel stood up on pine stump,amongst heather. Red Squirrel stood up on pine stump,amongst heather. Photographed in a Scottish Borders conifer woodland,in the winter. Canon 1D Mk11N camera,300mm lens,1/125 f5.